These two supernova remnants are part of a new study from NASA's Chandra X-ray Observatory that shows how the shape of the remnant is connected to the way the progenitor star exploded. In this study, a team of researchers examined the shapes of 17 supernova remnants in both the Milky Way galaxy and a neighbor galaxy, the Large Magellanic Cloud. The results revealed that one category of supernova explosion, known as "Type Ia," generated a very symmetric, circular remnant. 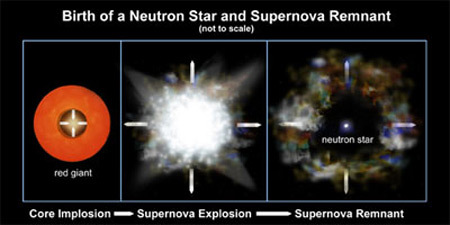 This type of supernova is thought to be caused by a thermonuclear explosion of a white dwarf, and is often used by astronomers as a "standard candle" for measuring cosmic distances. 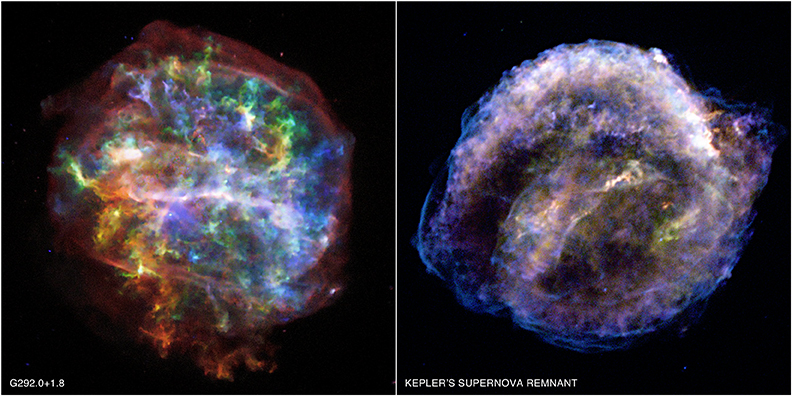 The image in the right panel, the so-called Kepler supernova remnant, represents this type of supernova. On the other hand, remnants tied to the "core collapse" family of supernova explosions were distinctly more asymmetric, which is seen in the morphology of the G292.0+1.8 remnant (left). The research team measured asymmetry in two ways: how spherical or elliptical the supernova remnant was and how much one side of the remnant mirrors its opposite side. In G292, the asymmetry is subtle but can be seen in elongated features defined by the brightest emission (colored white). Out of the 17 supernova remnants sampled, ten were independently classified as the core-collapse variety, while the remaining seven of them were classified as Type Ia. 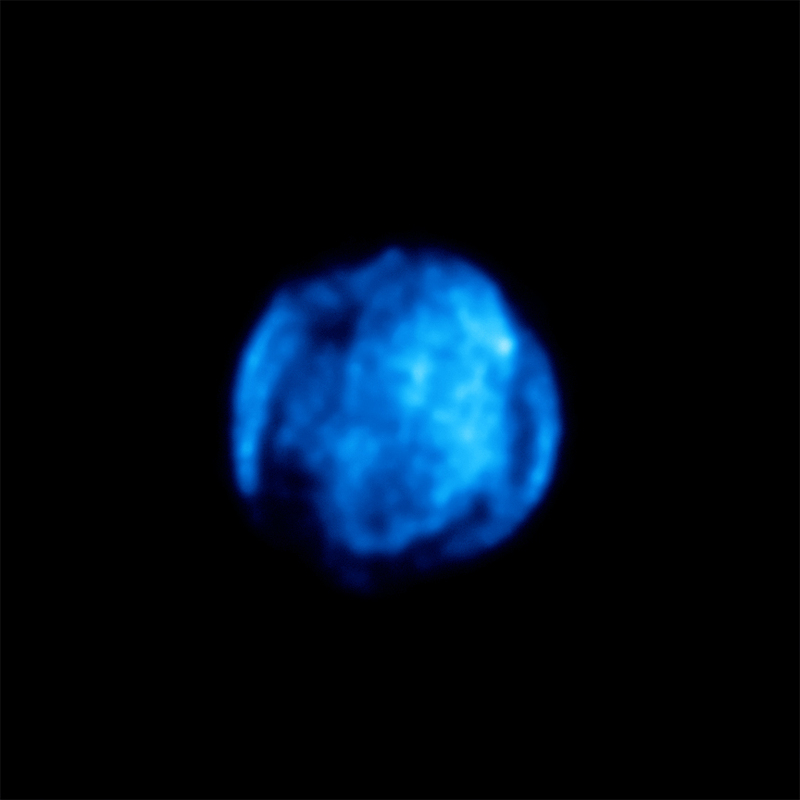 One of these, a remnant known as SNR 0548-70.4, was a bit of an "oddball". This one was considered a Type Ia based on its chemical abundances, but has the asymmetry of a core-collapse remnant. Credit NASA/CXC/UCSC/L. Lopez et al. Coordinates (J2000) RA 11h 24m 36.00s | Dec -59° 16' 00.00"
Coordinates (J2000) RA 17h 30m 40.80s | Dec -21° 29' 11.00"
If not why not? Surely a merger would give a much less symmetric remnant. Good and clear explanation. Easy to understand. Marvelous job. Hats off to the scientists involved. These pictures are amazing and they bring my attention to a whole new universe. This is very interesting, there is so much to see. Excellent work, keep it up as the whole world benefits by learning how the universe works. Fabulous graphics and insights on an extraordinary event. Thanks so much. I have learned something new about Novas in general. It is so mind boggling, I get dizzy thinking about all this. There is so much to learn about this great universe we live in. This is very nice. Good luck to the scientists. Give us more. Very fine detail, and an elegant idea applied to great effect. Is there any indication of some vague gravitational wave behavior accompanied this discovery? Or it is too late to judge.